In the professional world, if there is one thing that has continuously been in vogue despite the technological advancements, it is the use of business cards. These small printed cards are still used today not only to prove one’s identity and occupation, but it is now also used to promote a personal or a business brand. In this article, we have specifically curated fifteen examples of printable business card templates that will suit feminine tastes. 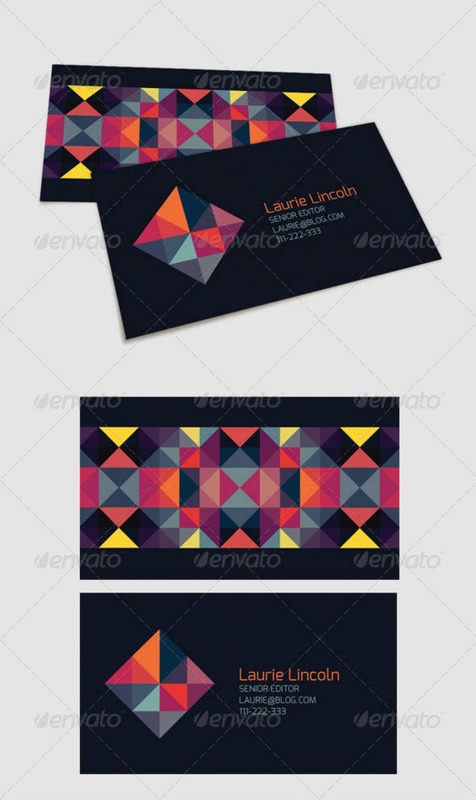 Moreover, more tips on how to best choose a feminine business card template are also provided below. So make sure that you read until the very end of this article. 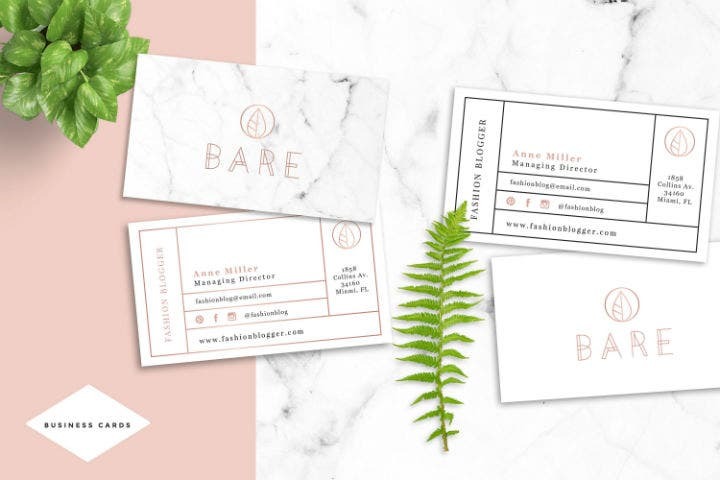 Before we delve into the different advantages of using feminine business card sample templates, take a look at the first few examples of downloadable business cards below. 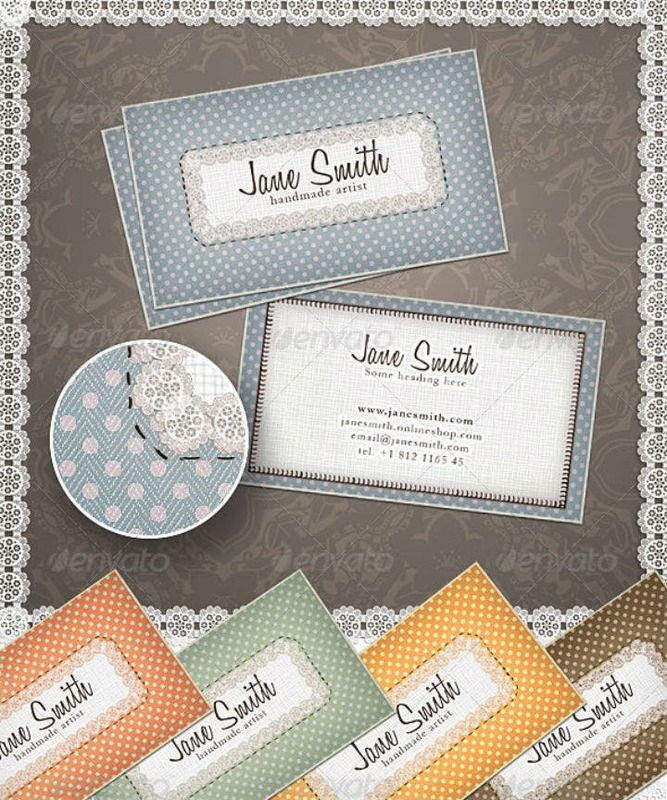 Note that these feminine business card templates are available either as Adobe Illustrator or Photoshop template files so make sure that you have a compatible software tool installed on your computer before downloading the template. 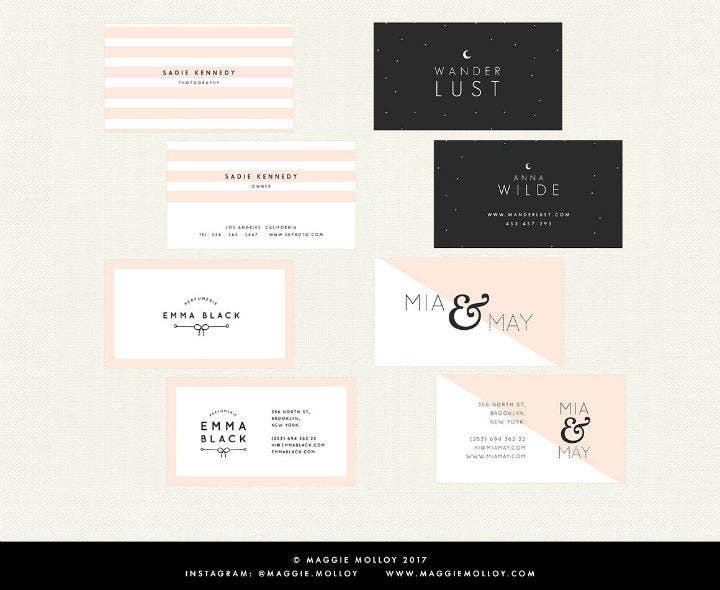 What is a Feminine Business Card? A business card is a small piece of paper that is printed with a person’s basic information like name, occupation, and contact number. These cards usually measure 2 inches by 1 inch. To learn how to manually design a business card, check out the linked article. The design of a business card will greatly vary depending on the person who uses it. 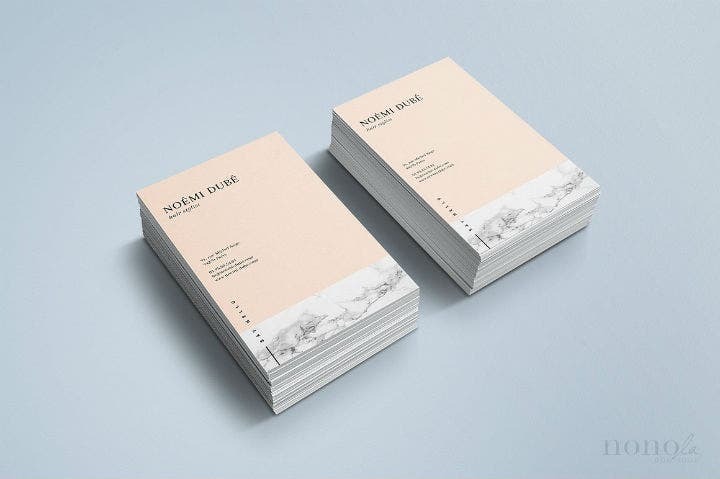 Factors like a person’s personality, type of job, type of small business, creative aptitude, and the kind of impression they wish to create can affect how a business card will look like. In this article, we specifically focus on how anyone can create and use printable business cards that have a touch of femininity. With the help of pre-made feminine business card templates, we will do just that. In a way, a business card can also serve as an extension of one’s personality. This is because a printed business card can represent you, your business, and your brand. So if you want to make sure that all the messages that these three things impart is a positive one and aligns with your own personal and business goals, it is best to choose a business card that explicitly showcases all these messages. However, too many people fall short when it comes to this task and therefore risks their business image and how they themselves come off when they give away their artist business cards. 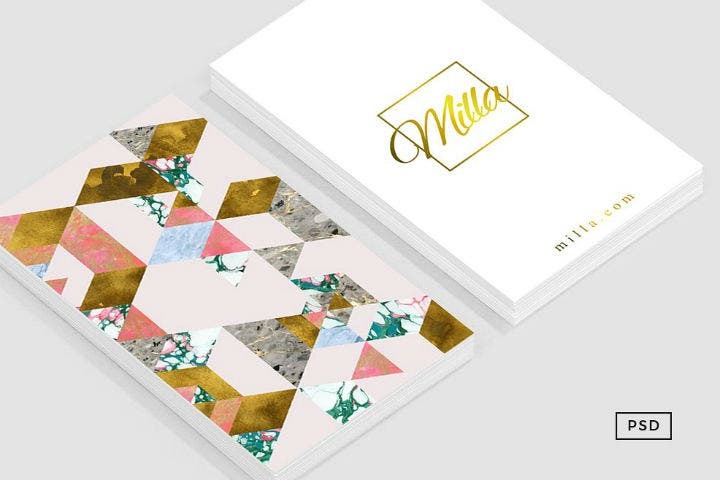 To help resolve this dilemma, we have prepared a list of the most important things to consider when choosing a feminine business card template design. Listed below are questions every female and female-identifying individuals should ask themselves prior to picking out a feminine business card design. Read them all below. 1. What kind of image do I wish to portray or represent? The first factor to consider when choosing a feminine business card template is the kind of image or branding identity you wish your business card to portray. 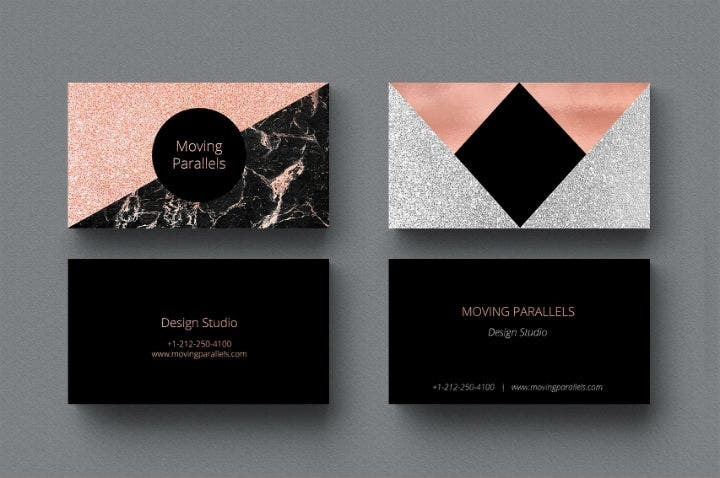 To illustrate, if you own a consulting business, you may choose a professional looking business card designs that are created with bold background patterns, colors, and accents that will subtly show off your sense of femininity. So before you buy and download that best business card template, always ask yourself what kind of image you wish to portray to your potential customers or clients. When you answer this question truthfully, choosing a business card design that fits your answer will be relatively easy. Most business card templates cost about $5 to $15 while business card template packs will cost a little higher. This price range is generally very cost-effective and a lot cheaper than having a professional graphic designer create a business card template for you. But what you should carefully think about is the cost of printing out your feminine business cards. Printing costs nowadays are getting higher and if you wish to have high-quality business cards, you will need to invest in better prints and formats. 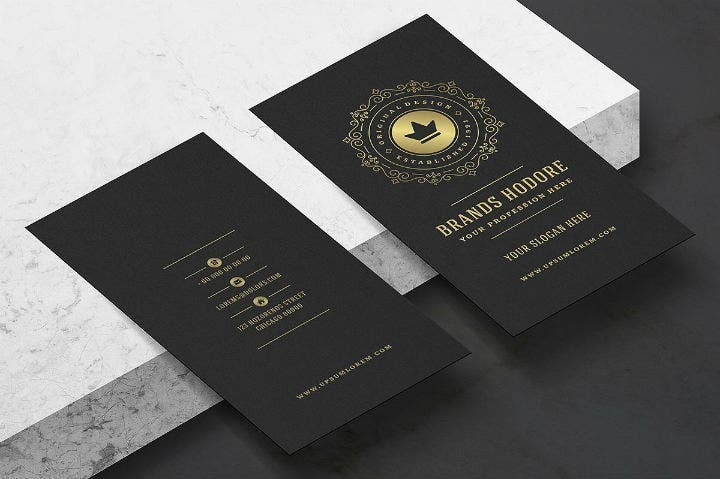 So before you purchase a business card template, you should make sure that you have a rough estimate of how much the card printing will cost and whether or not you will be able to afford it. You may also see hair & fashion business cards. 3. Is the card template fully editable? The next factor to consider prior to purchasing a feminine business card template is the template’s customizability. 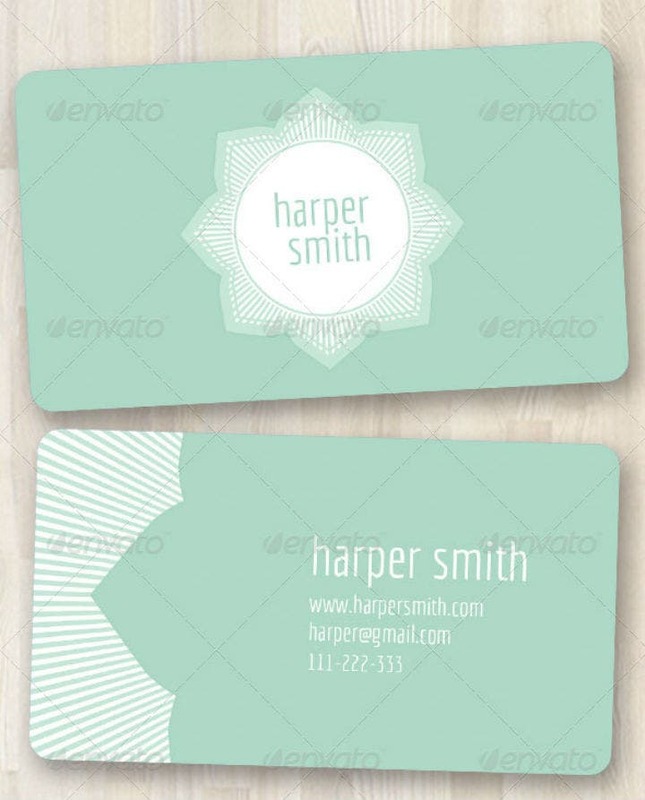 You need to find out if the business card template that you like has flexible editing options. If yes, that will be a great advantage since you will be able to create, add, or remove different graphic design elements and transform the template into a feminine business card of your dreams. If not, you may have to look for another more customizable business card template. By asking yourself this question first, you save yourself the hassle associated with having to get a refund for an uneditable business card template. You may also see sleek business cards. 4. Is the template available in my preferred printing size and format? Another question that you need to ask yourself before purchasing any kind of feminine business card template is your preferred printing size and format. This is important because you need to choose a business card template that is already in a printing size that you prefer. You may also see salon business cards. For instance, if you want to have a square business card, you should look for a business card template that is already in a square format. This way, you do not have to resize the base template and risk creating sizing issues on the template design. 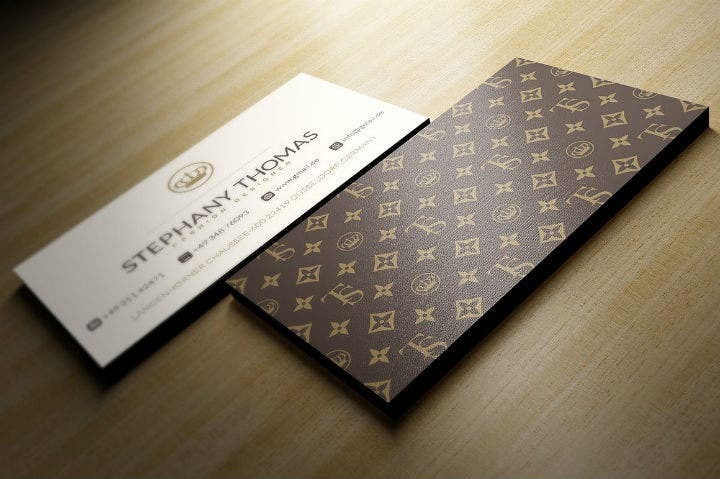 A business card’s printing format is another thing that you should think about prior to purchasing a template. This is important because most professionals and business owner prefer to have a different feel to their business cards. And these days, you can freely choose to have an embossed business card, rustic business card, or whatever kind of new printing format you wish your own business card to follow. So if you intend to do this, make sure choose a feminine business card template that already supports the type of printing format that you wish to have. 5. How is my editing skills? 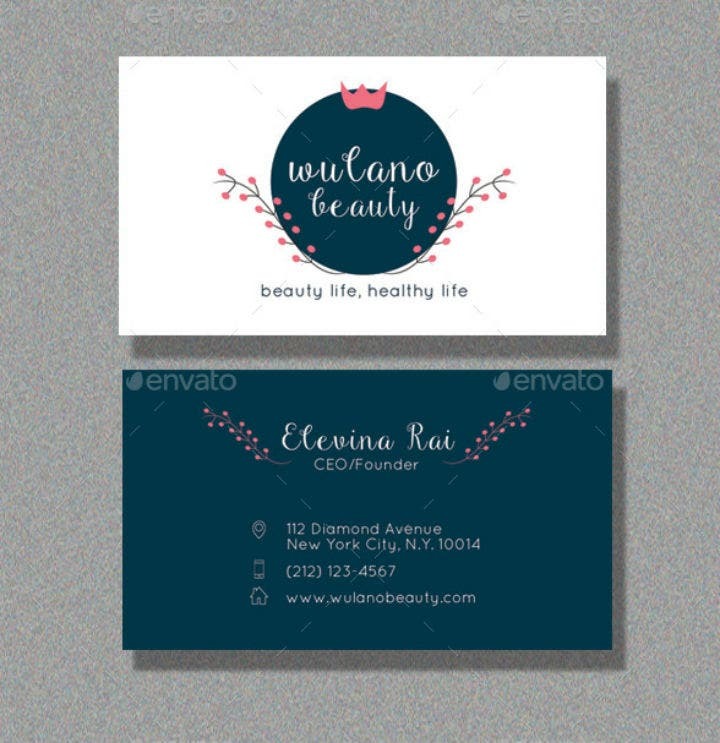 The next factor to consider when choosing a feminine business card template is your own editing skills. As we have mentioned earlier, pre-made business card templates will need to be edited so that you can add your own personal information or make any edits to the business card template’s design. So if you do not know how to use Adobe Photoshop or Illustrator, it may be best to learn these software tools first before purchasing a template. Of, if you do not have to learn any Photoshop or Illustrator tutorial, you can have someone else (an employee or freelancer) to do the template editing for you. By thinking about this factor before you actually purchase a business card template, you will have a more smooth-sailing editing time later on. 6. Does the template showcase the level of femininity that I love? Lastly, another factor that you should consider before purchasing a feminine business card template is if the template’s design matches your personal preference of what a feminine business card should be. 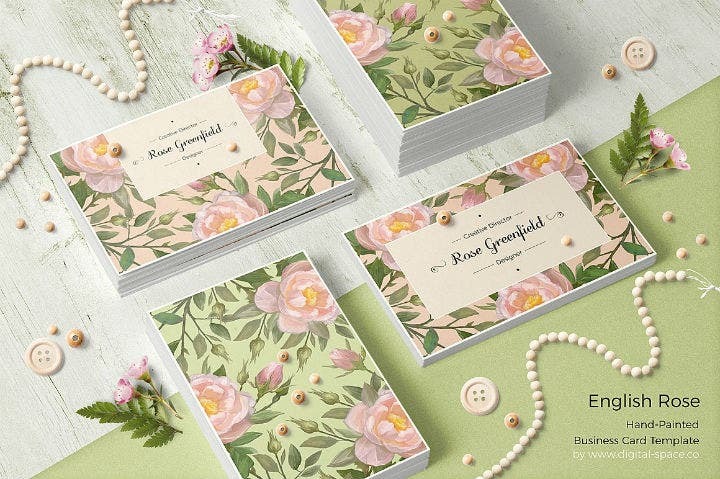 To illustrate, if you do not want your business card to be too girly and filled with floral patterns, you can still make your business card appear more feminine by choosing subtler design elements like watercolor effects and foil textures. Remember that the level of feminity in a graphic design project can be very subjective. Just make sure that you follow and choose the template design that personally appeals to you. This way, your business card design will showcase an authentic representation of yourself. All the questions that we have listed above pinpoint to a specific factor that should be carefully considered prior to choosing a business card template design. Take note of all these factors and apply them in your decision-making process. Choosing a printable business card template may seem just a trivial task to most people who have not actually done it. 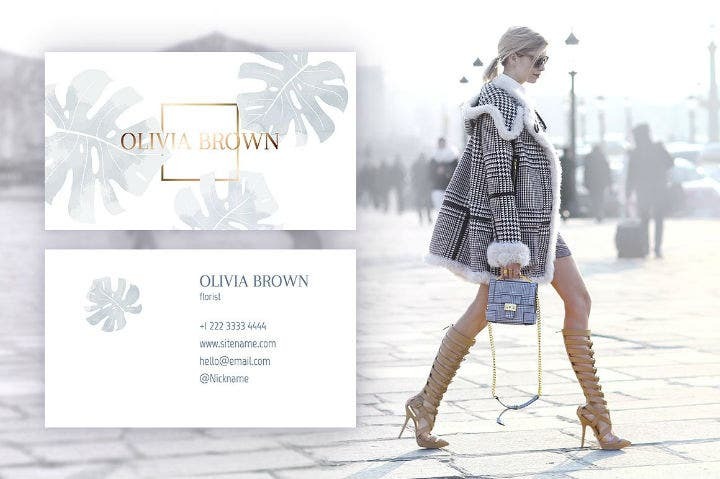 But now that you have gone through that, you know very well how difficult it can be to choose a feminine business card template will totally suit your persona and brand. We hope that this article has helped with that. 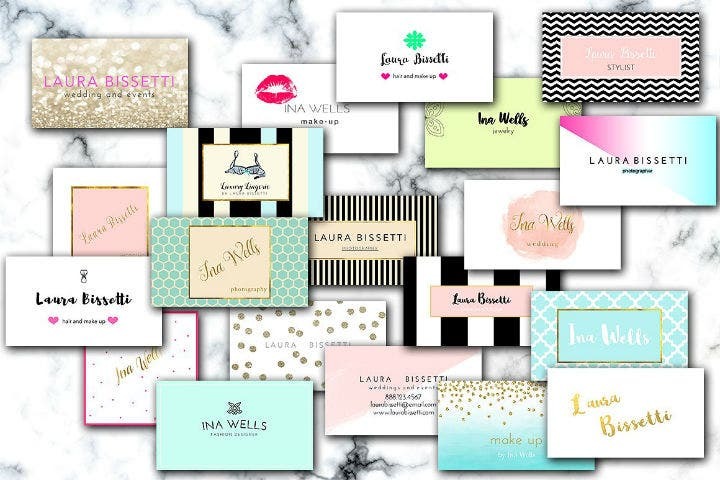 Please do not hesitate to share this article with your other female friends (or to anyone who wants to have a feminine business card) so that they too will see the hundreds of business cards templates available for them through this article and through our whole website. We would appreciate it a lot if you take the time to share this article on social media too!